A 1600 foot overflight of Westover, approaching from the west. 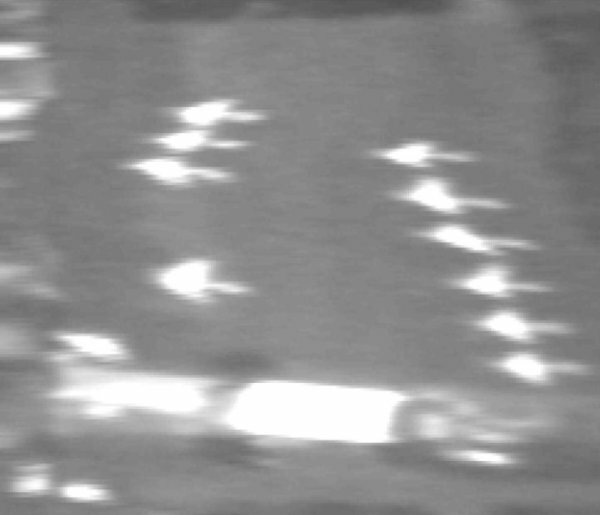 The radar was turned off and the radiometric mode only was used on this pass. The visual camera has a FOV of 37 degrees, the radiometric is 50 degrees. On a foggy day, the visual image would be blank, but the radiometric image would be unchanged. 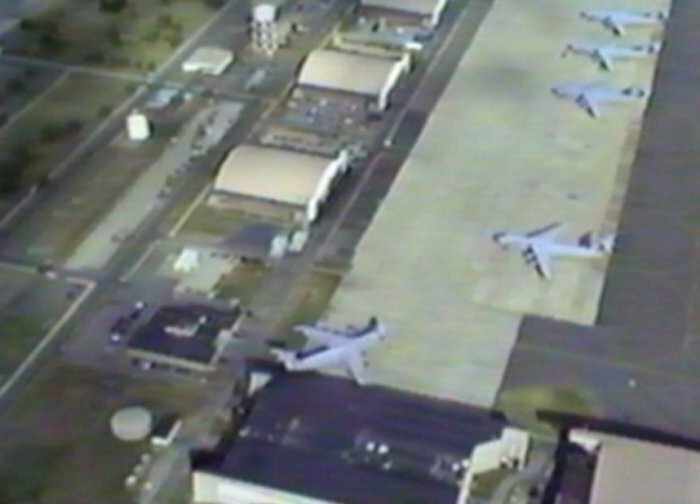 Visual image of Westover Airport. Credit: Photo courtesy of Doc Ewen. Radiometric image of Westover Airport. Credit: Photo courtesy of Doc Ewen.